There are so many ways to be addicted. A brief Google search for “a list of 12 Step programs” led me to a list of over 30 different groups that use the 12 Step model first used by Alcoholics Anonymous. All the programs have one thing in common: participants have “a persistent, compulsive dependence on a behavior or substance,” as defined by The Free Dictionary. Can a person have a “persistent, compulsive dependence” on religion? 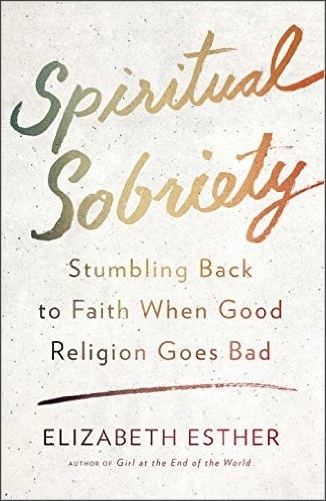 Elizabeth Esther makes a compelling case for religious addiction in her new book, Spiritual Sobriety. Drawing from personal experience, as well as the stories of others, Esther writes extensively about the characteristics of religious addiction and its impact on faith communities, specifically Christianity. 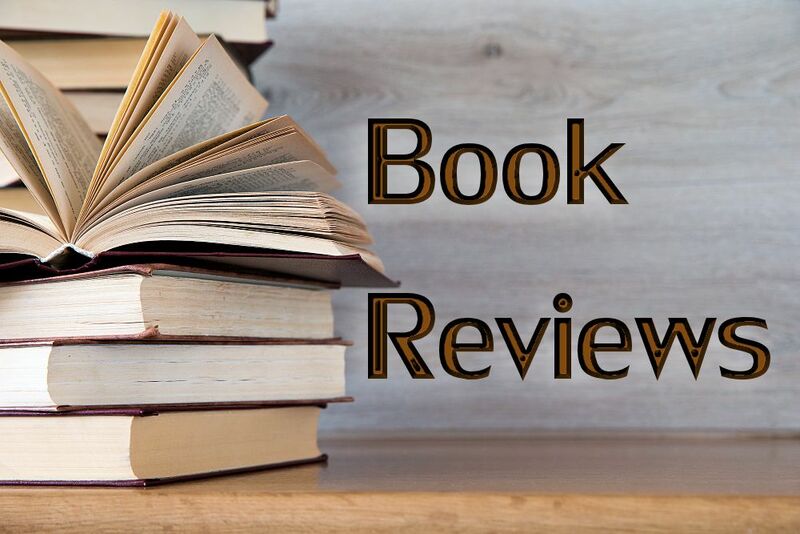 She begins with her own fundamentalist cult upbringing, extensively documented in her first book, Girl At the End of the World (reviewed here). It was during Esther’s childhood that she learned all the ways to prove her devout faith to others and receive approval, everything from singing hymns with her eyes closed instead of open to preaching on street corners with her family. Esther writes, “I was consuming God. I didn’t have access to chemical substances—we were intensely devout, conservative Christians—so I used what was available: religious beliefs. I habitually ‘used’ God and all things church to numb pain and feel good.” (p. 3). By the time she left the cult at the age of twenty-five, Esther was chronically depressed and suffering from PTSD. 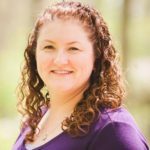 Addiction recovery programs became part of her healing process and eventually led her to the pursuit of spiritual sobriety. Esther’s sobriety is practiced in multiple areas of her life, and the book’s chapters reflect those areas: her actions (beliefs, thoughts, words); her relationships (in person and online); and within her church. One early chapter is devoted to sobriety and God, which is an enormously tricky subject for religious addicts. It’s not that religious addicts don’t have a concept of a Higher Power; it’s that their perceptions of God, so heavily influenced by their religious experiences, make it difficult to adhere to the concept of a loving Higher Power, per most 12 Step programs. God is perceived as an all-powerful, judgmental force, demanding submission and rigid spiritual practice; or God is a “vending machine,” (p. 52) responsible for spitting out wishes whenever we ask for something. By focusing an entire chapter on God, Esther addresses a significant challenge to those seeking spiritual sobriety: how do I find a loving Higher Power when my religion has taught me that God is shame, judgment, and punishment? Part of the problem is dysfunctional behavior in churches, a necessary and powerful chapter in Esther’s book. To her, churches have an enormous impact on religious addiction. She writes of the growth of megachurches and non-denominational congregations even as the number of Americans identifying as Christian slowly declines, and how “emotionally fraught, stadium-style altar calls and gospel meetings can do more harm than good because they make a grand, public performance of what should be a private, inner transformation.” (p. 139). Esther reached out to her social media followers for ideas about what constitutes a healthy church, and found three characteristics came up most often: a loving acceptance of all people; financial transparency; and leadership accountability. As someone who left an unhealthy church several years ago, I agree with Esther’s statement that “when just one of these characteristics is missing, things go badly and people get hurt.” (p. 144). I appreciated that she made a point to include churches’ roles in creating religious addicts and how they can impede spiritual sobriety. Religious addicts should be free to work on themselves without taking responsibility for their churches as well. The only chapter that rang hollow for me was the chapter on spiritual sobriety and relationships. I was hoping Esther would include more of her personal experiences with healthy relationships, especially in regard to her marriage and parenthood. I noticed that many sentences included the word “we” instead of “I,” as in, “We discover that other people are not ours to manipulate or control—even when we think we know what’s best for them.” (p. 115). I felt an emotional distance from the topic while reading this chapter, and I would have liked to feel more connected to the material through “I” statements and Esther’s own experiences. My own experience in a 12 Step program has been profound, and I personally relate to so much of Spiritual Sobriety. I’m thankful that another addiction is being gently pulled out of the darkness and into the light of recovery. Esther’s work gives religious addicts a better understanding of their addiction; tools for pursuing recovery; and the greatest gift one can give an addict mired in their addiction: hope that things can change for the better.